For state Medicaid plans, though, which pay a heavy price for tobacco-related illnesses, it can be a shot in the arm of sorts. 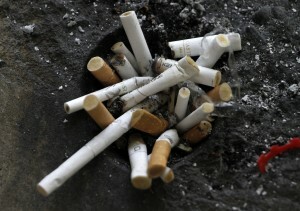 April 15 is also the day when the five largest tobacco companies pay $9 billion dollars to state governments, each and every year, forever, because of a 1998 legal settlement meant to compensate states for the costs of tobacco-related illness such as cancer, emphysema and heart disease. Actual payments made by the tobacco companies vary year to year because of adjustment factors written into the settlement; each of the states’ payments varies as well. Payments from tobacco companies help to support health care and other services for low-income people served by state Medicaid programs. Estimates based on national surveys may not account for which tobacco-related diseases are most prevalent in a particular state. This article first appeared on The Conversation. You can read the original piece here. Charles Betley is Senior Policy Analyst at University of Maryland, Baltimore County.